This means that Google has to check and balance the performance of AdWords, day-in and day-out. Google especially has to keep the interests of the advertisers and their money healthy. Thus, Google regularly releases AdWords updates. 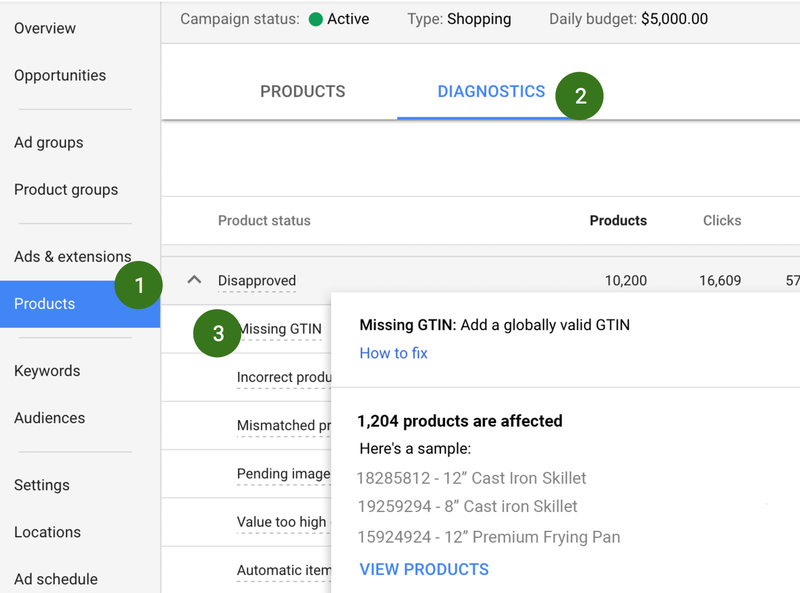 Every year AdWords sees a plethora of upgrades. These upgrades are often strategical advancements, evidently. But sometimes they are a whole lot more, like the user interface revamp that rolled out this year. All these constant changes make it difficult for some advertisers to keep track of. Thus, staying on the top of the AdWords updates (game) is often a bit of a task. Hence, I took the liberty to compile all AdWords updates of 2017 into an easy-to-read article. Let’s relive 2017! Advertisers can share negative keywords across different accounts under the manager account. Dynamic texts ads offer more customisation with the introduction of IF functions and DEFAULT values. 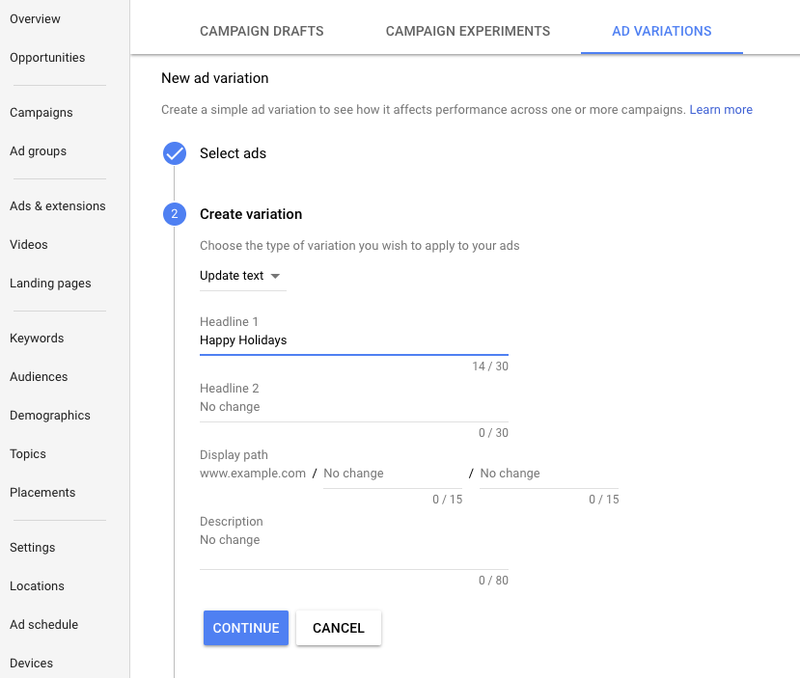 AdWords removed Campaign experiments and instead introduced drafts and experiments, a better way to gauge and implement changes. Google announced that mobile devices support price extensions as well. Hence, users on mobile devices see your product prices. View-through conversions default window is now adjusted to 1 day instead of 30 days. Location extensions are now live on Google’s display network too. The scope of exact match keywords is extended to include re-wording and re-ordering. Average Target CPA metric ( actual CPA wrt target CPA) is introduced for advertisers to understand their spend and bid strategies better. Google introduced three new features to Dynamic Search Ads, namely, page feeds, expanded ads and quality enhancements. View-through conversions metric went live for Gmail ads too. While previously they were limited to video campaigns and display network ads. Smart Display Campaigns with automated ad creation, bidding and targeting are at advertisers disposal. Google launched Similar Audiences for Search campaigns and Similar Audiences and Customer Match for Shopping campaigns. To increase the conversion count for advertisers, automated bidding called Enhanced CPC was introduced. Google added three new status columns “Expected CTR,” “Ad Relevance” and “Landing Page Experience” to the Keywords tab. These columns are to help advertisers understand the Quality Score components. We know how to import conversion. But did we know the import can be scheduled? 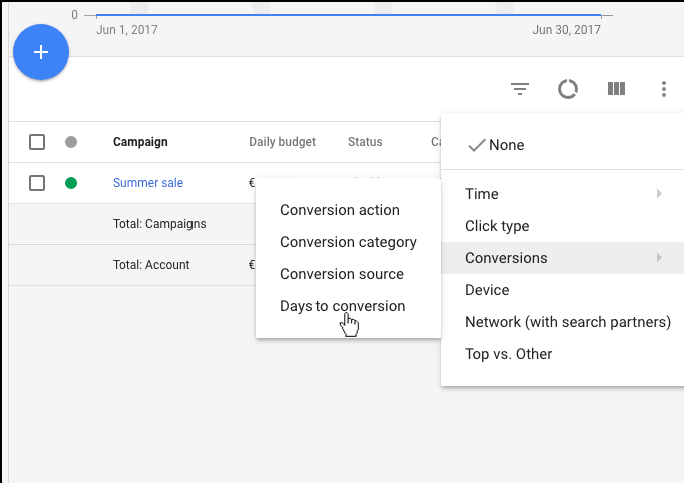 Yes, we can now program our conversion data import on AdWords. Google launched a smart bidding strategy called “Maximize Conversions” for advertisers to get the most conversions in their budget. 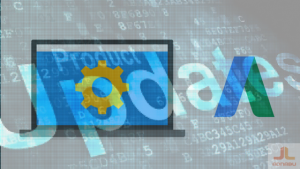 AdWords Editor got a revamp, and it is called AdWords Editor 12. Users can now use custom rules based on their practices to optimize their campaigns. Google rolled out a new AdWords feature called the Call Bid Adjustment. Call Bid Adjustment lets advertisers control how often the call option appears along with search ads. Advertisers can increase or decrease their call bids as per their requirement. AdWords Report Editor can generate graphs between two metrics for better visualization and comparison of data. Users can also create cross-account reports using the Report Editor. Search cards highlight the words that customers use to search the advertiser’s business. Advertisers can adjust their keywords from this data. However, this feature is available on the Overview page of new AdWords Experience. A new page called the “Landing Pages” helps you see metrics such as mobile-friendliness and clicks of each of your landing page URLs. This is a feature on the new AdWords Experience. Google added two new Shopping metrics “Product Status Report” and “Absolute Top Impression Share” to AdWords. While product status reports informs the approval/disapproval status of products in Merchant Center, absolute top impression share tells what percentage of the total impression were your ads on the top spot. Top impression share is available for both shopping and local inventory ads. Call-only ads got extensions! Advertisers can include their location, a callout and a structured snippet to their call-only ads. And we can now bulk-cancel multiple inactive accounts from manager account. You can now include location extensions and measure store visits with YouTube ads . Advertisers can now target users based on their “household” income using demographic targeting. 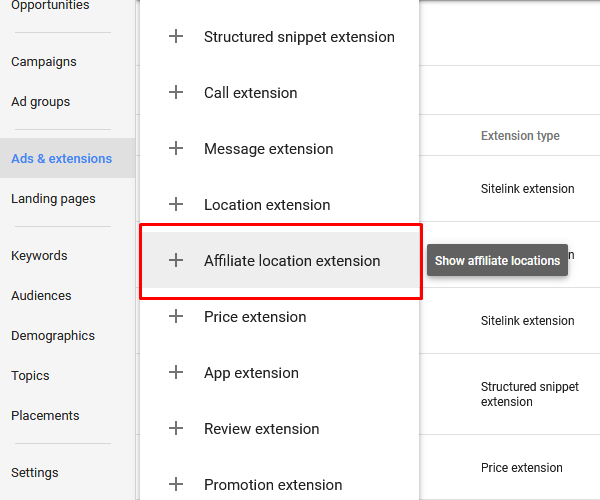 Affiliate location extensions are available on Google Display Network. Remarketing campaigns for Gmail ads went live. 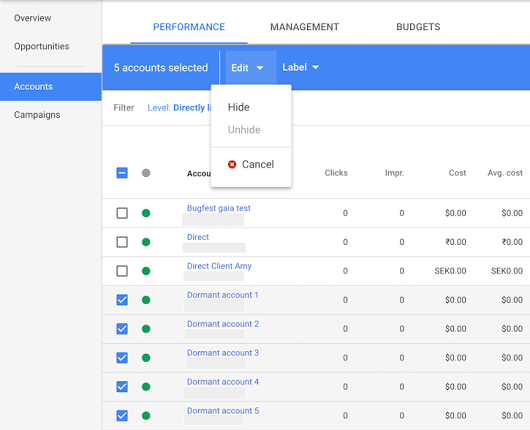 And advertisers can host dynamic remarketing ads on Gmail. AdWords Editor version 12.2 features updates including Gmail asset-based ads, promotional extensions and also new budget options for video ads. 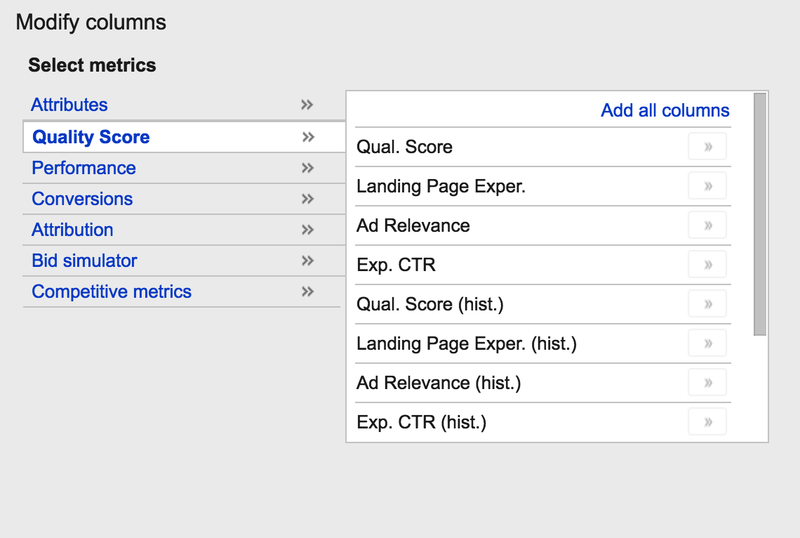 Custom intent audiences is a feature exclusive to AdWords new interface. It provides marketers to build their own audiences and target them right when they are making their purchase decisions. 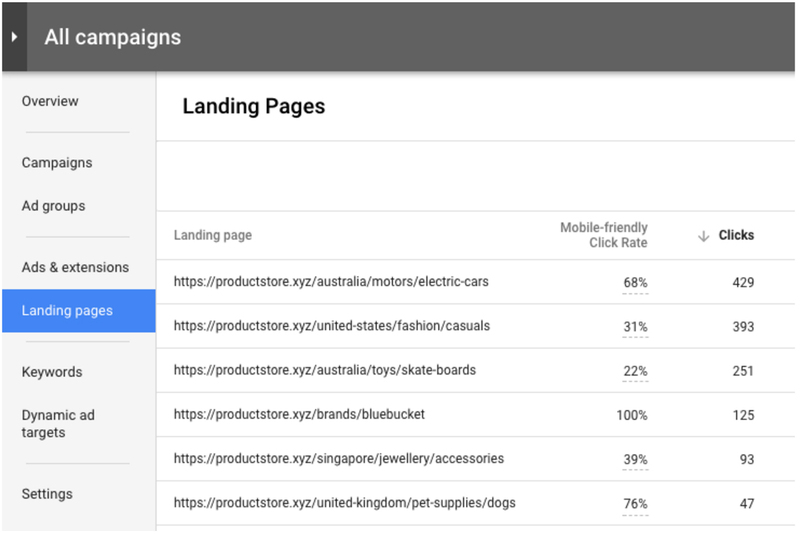 Custom intent audiences are also available for display campaigns. Opportunities page on the new interface is full of relevant insights. It helps advertisers improve their campaigns and providers actionable recommendations. Ad variations are making it easier for advertisers to test multiple versions of ads with different ad texts, headlines, descriptions, promotions etc. Re-engaging customers by setting up Customer Match using phone numbers and email addresses are available on the new AdWords interface. Change history highlights the latest change you made to your campaigns or ad groups. But this is a feature exclusive to the new AdWords interface. To sum up, these are all the AdWords updates Google rolled out in 2017. But it’s all past now. It is 2018, AdWords is soon going to kickoff more interesting updates. And we will keep you posted. So stay tuned! Know about Pros & Cons of Adwords new Ad suggestions feature.